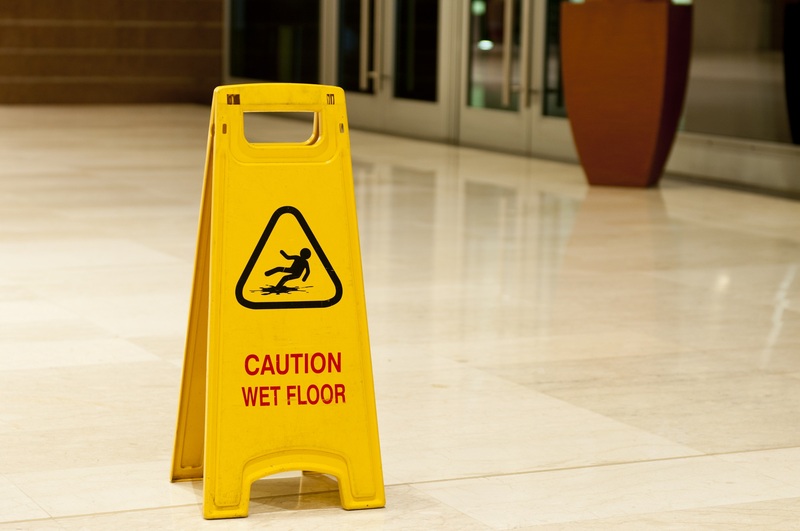 Slip and Fall: Do I have a Legal Claim? It’s a clear, straight forward question. Unfortunately, there isn’t a clear, straight forward answer. In the “no fault” world of Worksafe BC, a workplace injury is compensable regardless of how it occurs. If you slip and fall in the course of your employment, it doesn’t matter how careful your employer had been to ensure a safe work place, nor how careless you might have been: you are entitled to benefits. 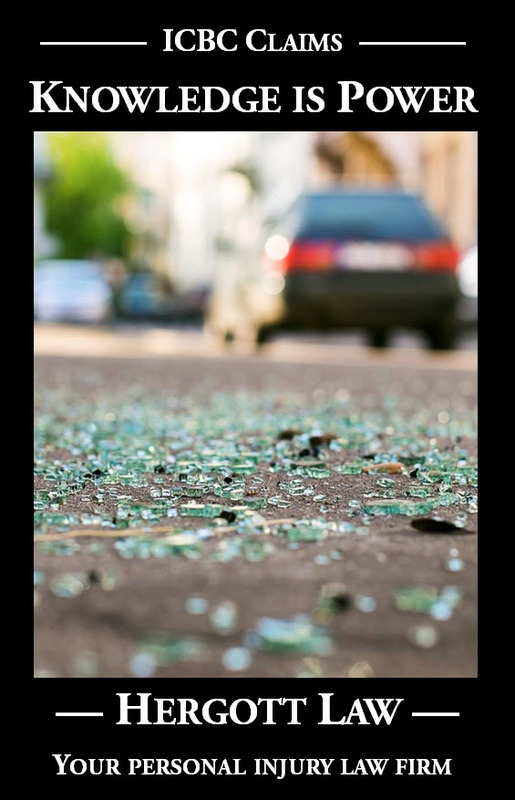 Unless you are in the course of employment, though, compensation for a “slip and fall” injury requires a finding of fault, or “negligence”. Someone, besides you, has to have done something wrong to cause the fall to occur. Isn’t it obvious, though? You slipped and fell. Clearly, the floor must have been slippery! Since the store is in charge of making sure the floor is safe to walk on, isn’t fault a foregone conclusion? A May 11, 2016, court decision, Dudas v. Ikea Ltd., provides a helpful discussion of this interesting area of the law. Mr. Justice G. C. Weatherill at paragraph 32 of his decision, provides a list of principles that includes this important one “A presumption of negligence is not created by the fact the plaintiff was injured. The plaintiff must establish that some act or failure to act…resulted in his or her injury”. How obvious a failure to act could there be? The floor was slippery. The store owners need to make sure that doesn’t happen! “The duty of care…does not require the occupier to remove every possibility of danger – the test is one of reasonableness, not perfection”. The injured plaintiff in the Dudas case had walked into an Ikea bathroom and entered one of the toilet stalls. While she was in the stall, the floor area was mopped. She slipped and fell as she approached the sink to wash her hands. Perhaps surprisingly to many of you, the court decision went against the plaintiff. The plaintiff assumed, perhaps reasonably, that she had slipped on water, but she was unable to say that for certain. After falling, while sitting on the floor, she did not notice any water on the floor and her clothing was dry. Mr. Justice G.C. Weatherill noted that it was the plaintiff’s evidence that several people came and left the washroom while she was in the stall. He noted “If she did slip on water, which she has not proven, the source could have been water splashed on the floor while any one of these people was washing their hands at the sink…..the court is not entitled to resort to speculation when determining the cause of the plaintiff’s fall”. The last point of his analysis is a clear caution that each of us has responsibility for our own safety: “This incident took place in a ladies washroom. The potential for some dampness on the floor ought reasonably to have been expected by anyone using it. The mere presence of some water on the floor does not constitute an objectively unreasonable risk of harm”. It is dangerous, in my view, for the public to assume that the owners of commercial premises are subject to a standard of perfection when it comes to keeping their premises safe. The higher your expectation that a commercial premises is perfectly safe, the less care you are likely to take for your own safety. 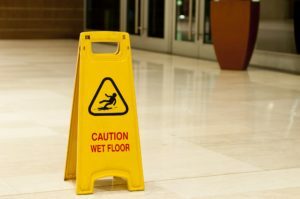 If you do slip and fall, and are hurt, be sure you are exceedingly careful to document the circumstances, including getting witness statements and taking photographs, so that if the matter ever goes to trial, you will be able to prove exactly what it is you slipped on and hope to achieve fair compensation.